Michael Barone has placed the blame for the current government shutdown and gridlock generally squarely where it belongs, on James Madison. He explains his reasoning in his column at Townhall.com. 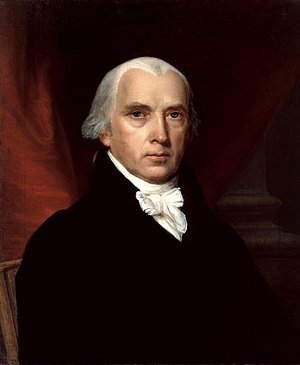 The problem was caused by James Madison. And by the 39 other men who signed the Constitution in 1787. The problem, of course, is the government shutdown. It was caused because the Framers of the Constitution wisely provided for separation of powers among the three branches of government. The president would faithfully execute the laws and be commander in chief of the military, but both houses of Congress would have to approve of every penny the government could spend. In the early republic, it was widely assumed that presidents could veto legislation only it was deemed unconstitutional. Disagreeing with policy was not enough. That changed after Andrew Jackson vetoed the recharter of the Second Bank of the United States in 1832 and was promptly reelected. Jackson claimed to act on constitutional grounds, but it came to be understood that presidents could veto laws they disagreed with. That understanding, together with the constitutional structure, imposes something like a duty of consultation between the president and members of Congress. Otherwise — and you may have heard about this — the government will have to shut down. Government shutdowns have occurred more frequently than the media is telling us. Astonishingly, Obama said in a prepared statement that no president had negotiated ancillary issues with Congress when a shutdown was threatened. Four Pinocchios, said Washington Post fact checker Glenn Kessler. Divided government is more the norm than the exception, and is likely to be a continuing feature of American politics. Democratic voters — blacks, Hispanics, gentry liberals — are heavily clustered in certain central cities. They give Democrats an advantage in the Electoral College. Republican voters are more evenly spread around beyond these Democratic bastions. That gives Republicans an advantage in the House of Representatives. So both sides have a legitimate mandate — but not an unlimited one. Republicans are furious that their members can’t defund or delay Obamacare. They want to see politicians stand up yelling, “No!” Theater has a function in politics. But in fact, they’ve had a partial victory this year, a win that didn’t seem likely last December. By accepting the sequester despite its defense cuts, Republicans have actually dialed down domestic discretionary spending. Democrats’ position now is essentially the sequester. They’re swallowing something they hate. No wonder Obama seems sullen. So both sides will have frustratingly partial victories and not get everything they want. That’s how James Madison’s system is supposed to work in a closely divided country. Darn those founding fathers. It almost seems that they were afraid that a government that was too centralized and powerful would devolve into tyranny so they placed all sorts of limits on the government. That’s just silly. Everybody knows that could never happen. The government is here to help us all and the best way to allow it to so it would be to get rid of all those pesky constitutional restrictions and allow the Light Worker to do his job. Right? Barack Obama blames Republicans for US government shutdown (dnaindia.com) Of course. Nothing is ever his fault. 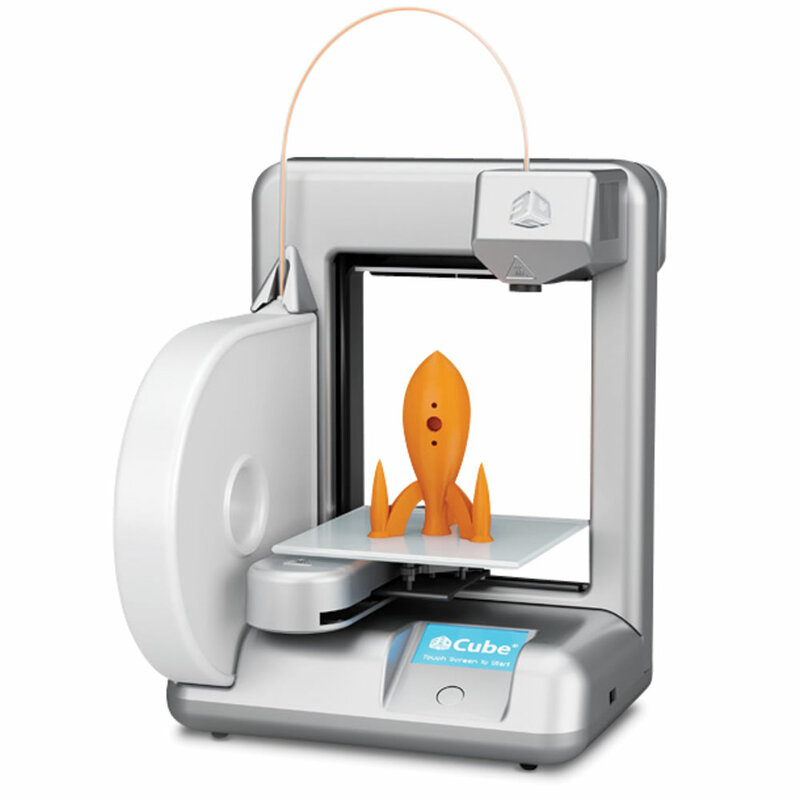 I have been wondering what all the fuss is about 3-D printers and where I might be able to purchase one. Just today a got an e-mail from Hammacher Schlemmer showcasing their latest best and unexpected items for sale, including a 3-D printer. It looks great. This item can be mine for only $1300. I am going to have to order one quick before they run out. I wonder if the design for the 3D printed gun is included.